“I remember I was only 5 years old and I wanted to become a cartoon character. I grew up watching Bugs Bunny and Sesame Street and I really wanted to be in that world,” explained Al Sabban in a recent interview with Gulf News. Although he knew what he wanted to be from a very early age unlike many people, Al Sabban did not pursue his dreams right away as he knewthat in Saudi Arabia puppeteering was relatively still unknown and was seen as an unconventional career path to take. However, five years ago, when his wife, Dr. Bedour Essam, received a scholarship from King Abdullah University of Science and Technology (KAUST) to pursue a doctorate in chemistry, Al Sabban saw an opportunity to finally diverge from his current job into his lifelong passion. The couple agree to take the next three years off to accomplish their objectives, Dr. Essam to complete her doctorate and Al Sabban to learn puppeteering while also taking time off to stay home and take care of the kids. With the full support of his wife, Al Sabban set out to not only learn a new skill but to also create a lucrative source of income from it in a country where no market existed for puppeteering. Through YouTube tutorials and online videos, he started learning how to make and handle puppets, going on to produce a four-episode show that he published on YouTube. Although his show gained little traction, Al Sabban did not give up. He travelled to the United States, to San Francisco and New York, and trained with master puppeteers. 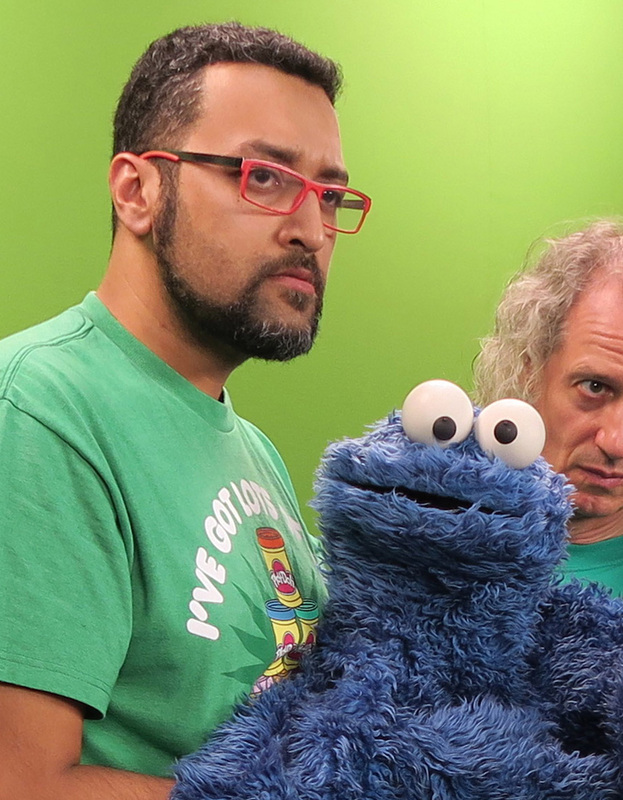 After years of training and never giving up on his dreams, Al Sabban was offered the position of Creative Director at Bidaya Media Company, where he is also tasked with creating new shows, writing, and supervising scripts for “Iftah Ya Simsim,” the first international co-production of the American children’s television series Sesame Street created in the Arab world.